This semi-detached cottage - situated at the head of a cul-de-sac at Crossapol - has sea views to the front and open views to the back. 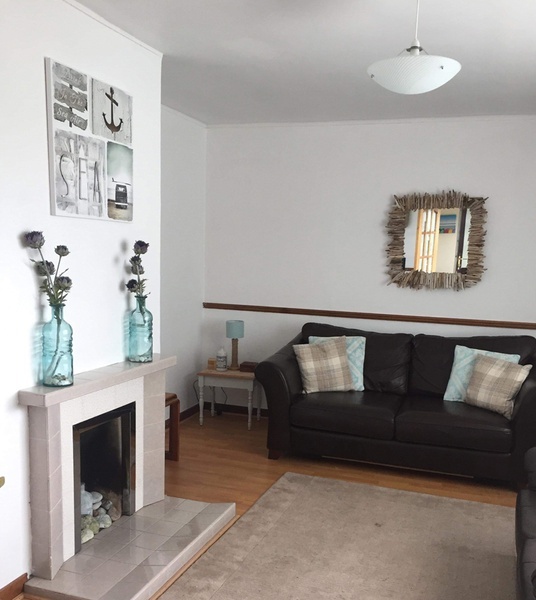 It is conveniently located only a short walk from a general store, the An Talla community hall, a play park, the Rural Centre and a white sandy beach and is ideal for bird-watching. 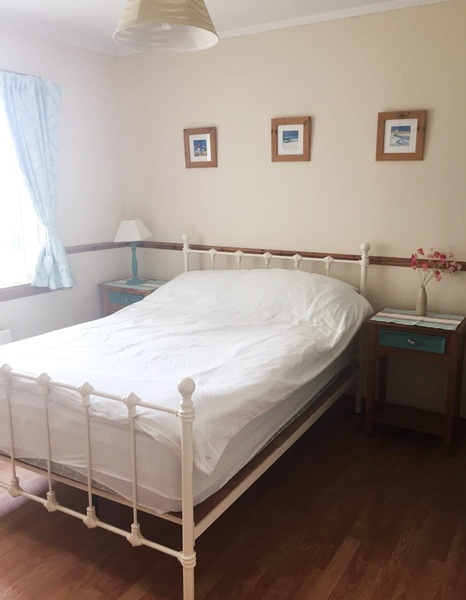 It is deceptively spacious and very well equipped offering a welcoming and comfortable base from which to explore the enchanting island of Tiree. Entrance Hall - with coat and shoe stand. Sitting Room - an inviting room with a view towards the sea. There is a leather sofa bed, a leather sofa and a single chair/futon. Also, free-sat TV, dvd and smart TV. 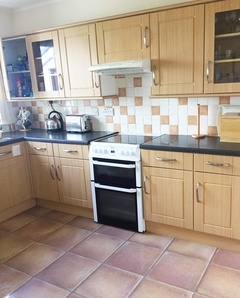 Kitchen/Dining - a good sized room with well-equipped fitted units, electric twin oven cooker, fridge with freezer compartment, dish washer, washing machine. Dining area with table (seats up to 6). Double Bedroom - with a double bed, two side tables with lamps, double walk-in wardrobe and small chest of drawers. Twin Bedroom - with two single beds, side table with lamp and built-in wardrobe. Bathroom - fully tiled bathroom, bath with over-bath shower, basin and WC. Back Porch - with coat hooks and open cupboard with some garden furniture. Full oil central heating radiators throughout with mains pressure hot water. 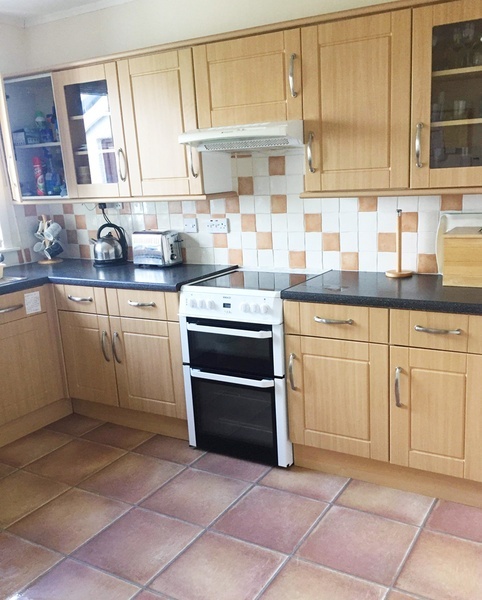 Oil and electricity costs are included in the rental price. 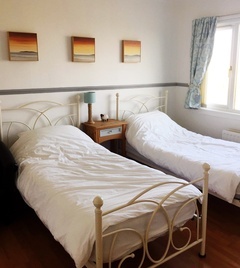 Duvets (choice of togs) and pillows are provided with pillow, mattress and duvet protectors in place. Please bring your own linen and towels. Please bring you own bed linen and towels or this can be provided at request. There is a generous sized walk-in cupboard with a good selection of dvds, videos, books, board games, toy box, outdoor/beach toys, hairdryer, iron, clothes dryers etc. Another cupboard stores a hoover, ironing board etc. 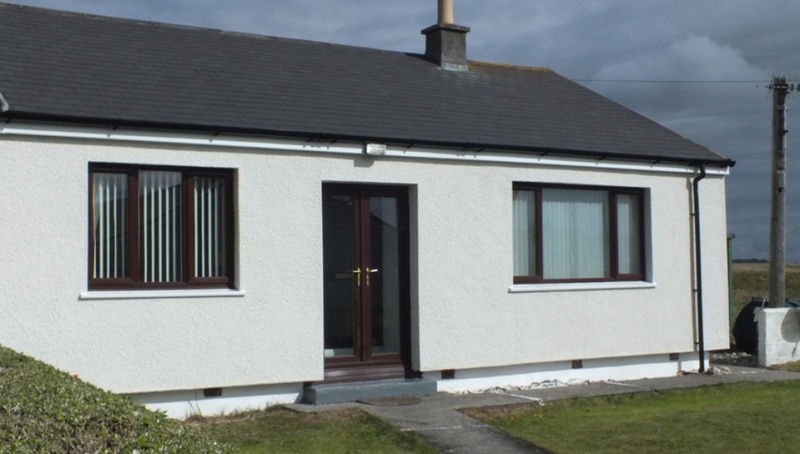 Located 3 miles from Scarinish Pier and 1 mile from Tiree Airport. Turn left at the end of pier road and take the Scarinish Road towards Crossapol. Struthan Terrace is just yards past MacLeods General Store on the right and number 6 is at the head of the cul-de-sac. 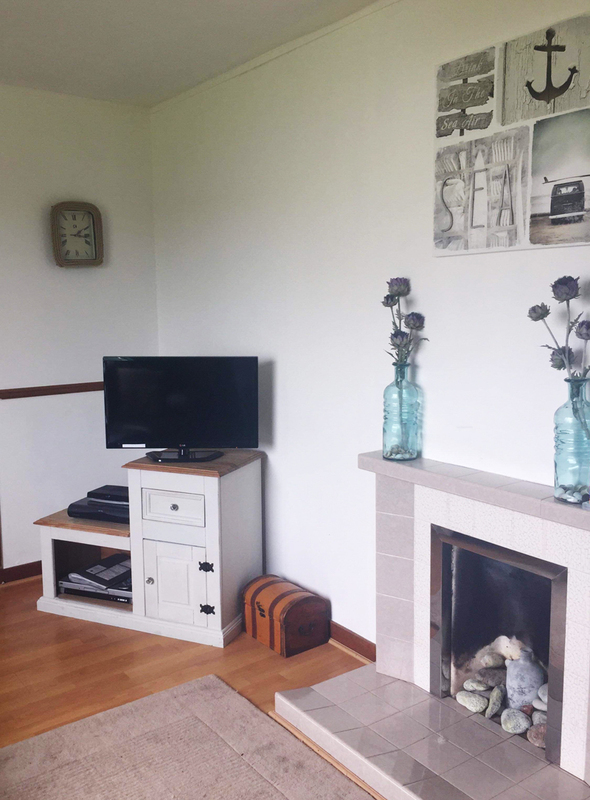 The house has a good sized, fully enclosed level garden area with a drying green at the back and open views of the fields, small concrete area which makes a great place to use the garden furniture and savour the Tiree ambience. There is a storage container situated at side of house storing garden furniture and other equipment. Parking - to the front of the house. Sorry no pets and no smoking in the house. WE CAN OFFER FLEXIBLE ARRIVAL DATES - CONTACT FOR DETAILS. ENQUIRE FOR TMF 2019 possible long weekend dates.